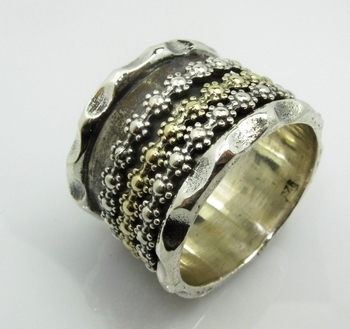 Spinner ring silver and gold bands on sterling silver. About 1.9 cm wide. Made in Israel spinning rings.